There’s something about living in a megalopolis like Chicago that makes people skeptical of finding scenic trails. Even outdoorsy Chicagoans express surprise when they learn about the assortment of well-maintained parks and foot trails close to the Windy City. Outdoor activities, they assume, require a lengthy trip somewhere else. 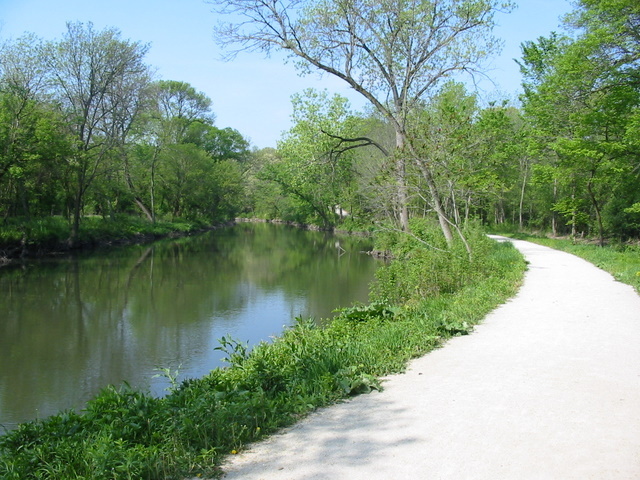 Chicagoland claims an impressive collection of foot trails that wind alongside streams, over wooded hills and through prairies and wetlands. And many of these spots are less than an hour from downtown. 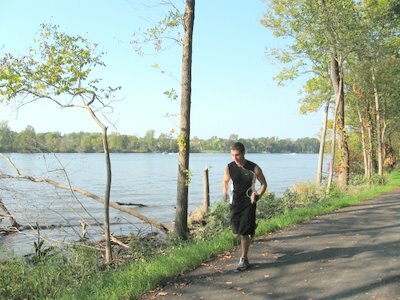 For some, hitting trails close to the city is especially attractive because it allows them to leave the car at home. Instead of getting in a car, they’ll hop on a bicycle or one of Chicago’s commuter trains to reach the trailhead. 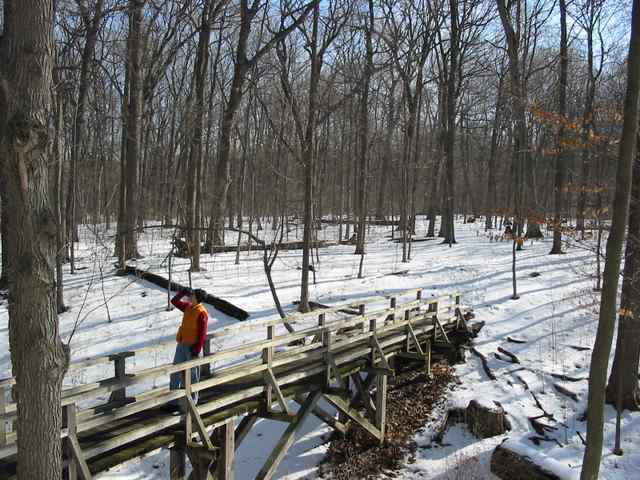 So, here are a few of the best trails within spitting distance of Chicago. At the Indiana Dunes State Park, some of the largest sand dunes on Lake Michigan’s southern shore are mixed in with woodlands full of giant oaks, many acres of wetlands and smaller wooded rolling dunes. While the Indiana Dunes National Lakeshore offers a far greater number of trails, the state park contains the most dramatic and isolated trails. 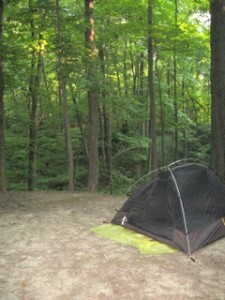 Trails 2, 8 and 9 provide a total of about five miles of outstanding hiking. Pick up a park map at the guardhouse and start from the park’s nature center near the campground. Trail 2 takes you through a wet bottomland dotted with small ponds. A half-mile stretch of this trail follows a wooden boardwalk that spans a wetland called the Great Marsh. After finishing Trail 2, make your way to Trail 9. Trail 9 eventually leads you to a 0.7-mile stretch of trail that follows a dune ridge topped off with cottonwood, juniper and patches of marram grass. A ravine blanketed with white pine and black oak plunges downward on one side of the trail. On the other side, the dune drops to the shore of Lake Michigan. The Chicago skyline juts out of the lake about 30 miles to the northwest. The ridge trail connects a couple of enormous blowouts–large areas of open sand and marram grass hollowed out by wind from the lake. After wrapping up Trail 9, pick up Trail 8 near the nature center, and then get ready for a steep, sandy climb up Mount Jackson. After Mount Jackson, the trail takes a short dip before climbing again, this time up to Mount Holden, followed by the highest dune, Mount Tom. The tops of these dunes reveal expansive views of the shimmering lake and many miles of wooded landscape. 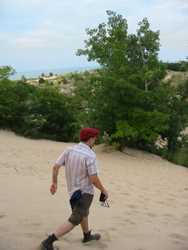 If it’s a hot day, you’ll enjoy the cool, wet reward where Trail 8 ends at the bottom of the dune. The park is a snap to reach on the South Shore Line, the northwest Indiana commuter train. Outdoor explorers in the Chicago area are lucky souls to have the massive Palos/Sag Valley Forest Preserve in their midst. 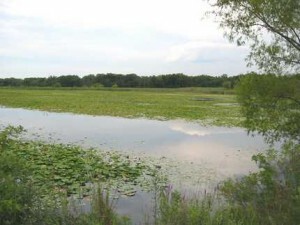 With more than 14,000 acres of hilly woodland, rolling prairie, scenic wetlands and quiet oak savannas, this giant natural area located southwest of the city contains some 35 miles of multi-use trails, and many more miles of narrow unmarked trails. 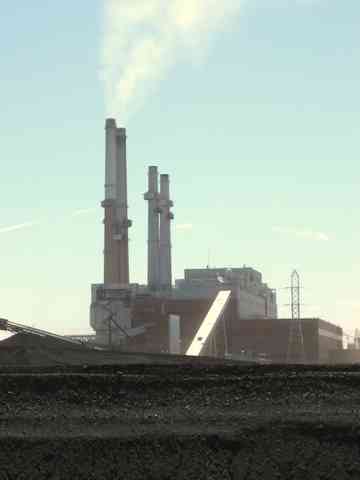 One of the highlights of Palos/Sag Valley is the isolated trails within Cap Sauers Holdings. For a 4.75-mile hike, start from Teasons Woods parking area at the corner of State Highway 83 and 104th Avenue, and head east on the yellow trail as it runs along the base of the 80- to 100-foot-high wooded bluff known as Swallow Cliff. Head up the bluff on the lengthy stone staircase that accompanies the decommissioned toboggan slide. Stay right at a series of junctions and then cross 104th Avenue. After passing through a series of oak savannas, take the green trail to the left. Nearly a half mile ahead, look for a trail marker on the right and take the narrow trail up a small hill. Soon, the trail starts to snake along the top of what is known as Visitation Esker. Sloping down 40 to 50 feet on each side of the trail, the esker looks like a perfectly shaped winding mound. Indeed, some geologists maintain that this landform, created by a sub-glacial stream, is one of the most well-defined eskers in the state. Returning to the yellow trail, turn left for a short trip back to the parking area. 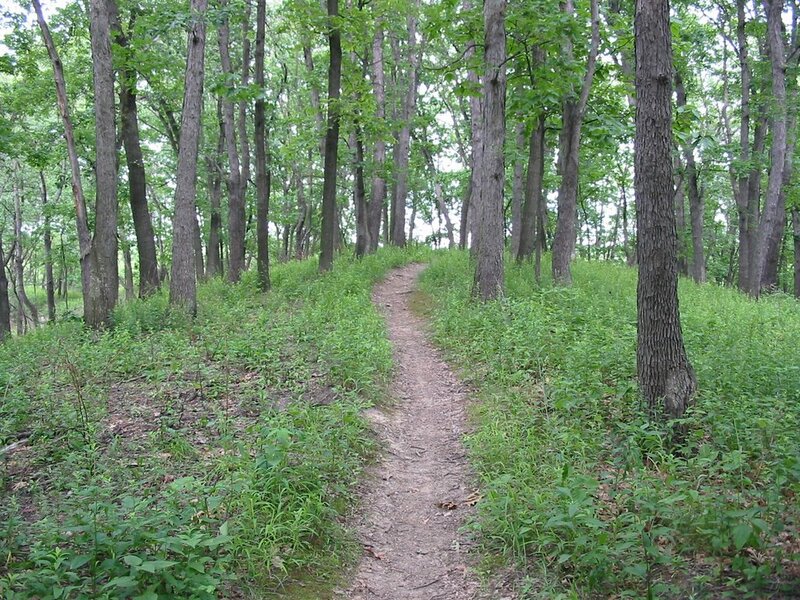 While the trails at Fullersburg Woods are not extensive, they make up for it with pristine surroundings. 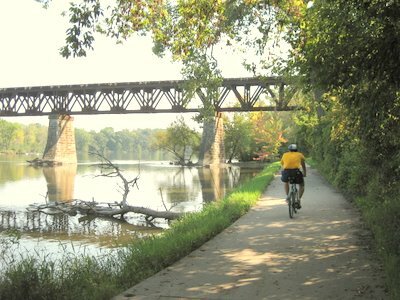 Nearly all the trails at Fullersburg accompany Salt Creek as it meanders alongside bluffs and winds around a couple of islands on its way through the park. If you’re looking for a place to bring the family, Fullersburg is one of the best options around. In addition to a visitor center with exhibits and activities for kids, there’s a nifty museum housed in an old gristmill along the creek. An exhibit in the basement offers details about the mill when it served as a stop on the Underground Railroad. Start the hike on the trail north of the visitor center and stay to the right. 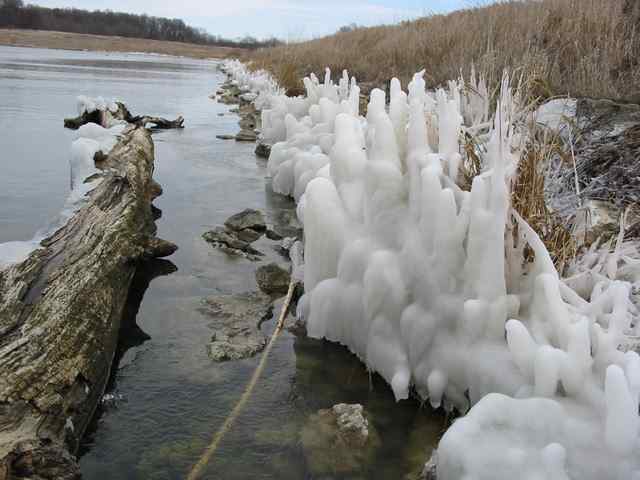 While exploring the banks along Salt Creek, you’ll see tree stumps sculpted by beavers, oaks and maple trees hanging lazily over the water, and small wooded bluffs rising above the creek. Nearly two miles into the hike, keep going straight ahead as you pass the picturesque log bridge on the right that leads to the visitor center. From the bridge, the path heads toward the dam, which is flanked by the brick Graue Mill and its giant water wheel. Fullersburg Woods is 1.2 miles north of the Hinsdale station on the BNSF Metra Line. The west end of the 11-mile-long Salt Creek Bicycle Trail is located one mile from Fullersburg Woods. 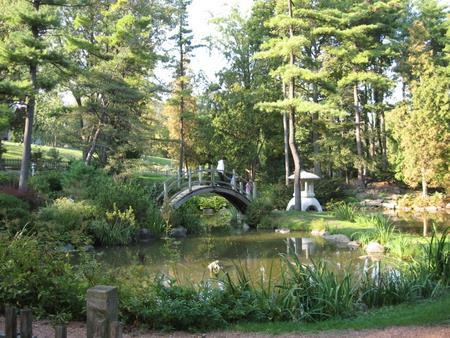 These two parks, Veteran Acres and Sterne’s Woods, are individually charming and each well worth a visit. 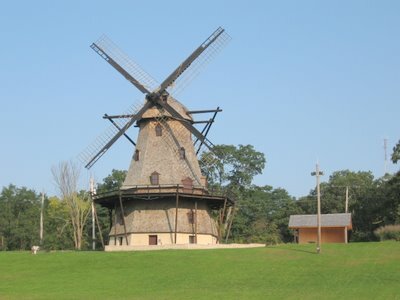 But taken together, they offer an array of scenic landscapes and many miles of enjoyable rambling through quiet woodlands, rolling prairie, and wildflower-laden wetlands. From the front door of the Veteran Acres nature center, look for the wood chip trail on the left heading into the woodland. Taking the second junction on the right brings you into the rolling grassy expanse of Wingate Prairie. Stay to the right as you pass along the outer edge of the prairie. 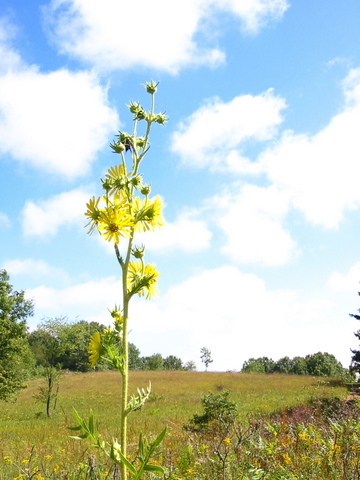 Among the prairie remnants in the Chicago region, this one is unique for its rolling hills and stands of fragrant pine. Mixed in with the big bluestem grass, you’ll see plenty of goldenrod, compass plants and rattlesnake master. Eventually, you’ll reach the Prairie Trail, a regional rail-trail. 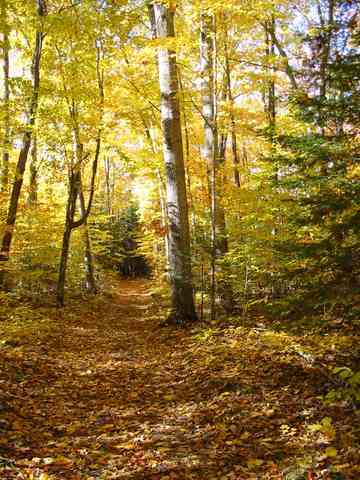 Follow this paved path through stands of pine, hickory and enormous black and white oak trees with gnarled limbs reaching out over the trail. After 0.9 miles, keep an eye peeled for a wide gravel trail that runs on the left parallel to the Prairie Trail. Take the gravel trail to the right and you’ll pass through a 40-acre wetland, home to a variety of wildflowers, including two types of orchids. Stay to the right and continue through the woods. 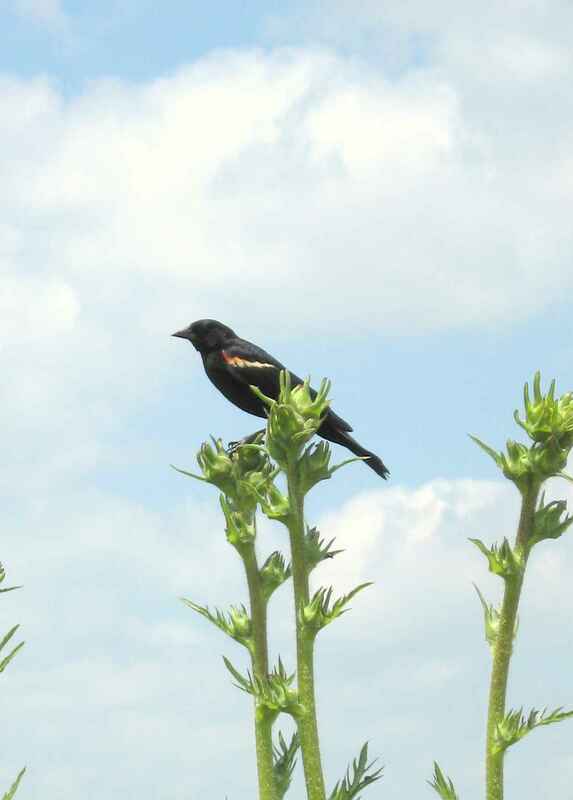 Once you return to Wingate Prairie, you’ll zigzag along the trails back to the nature center. The nature center is located one-half mile directly north of the Crystal Lake station on the Union Pacific/Northwest Metra Line. The Prairie Trail runs for 25.9 miles from Algonquin north to the Wisconsin border. Learn more about hiking in the Chicago region by checking out 60 Hikes within 60 Miles: Chicago, recently available in a second edition. This article first appeared in the July 2008 issue of Silent Sports magazine. 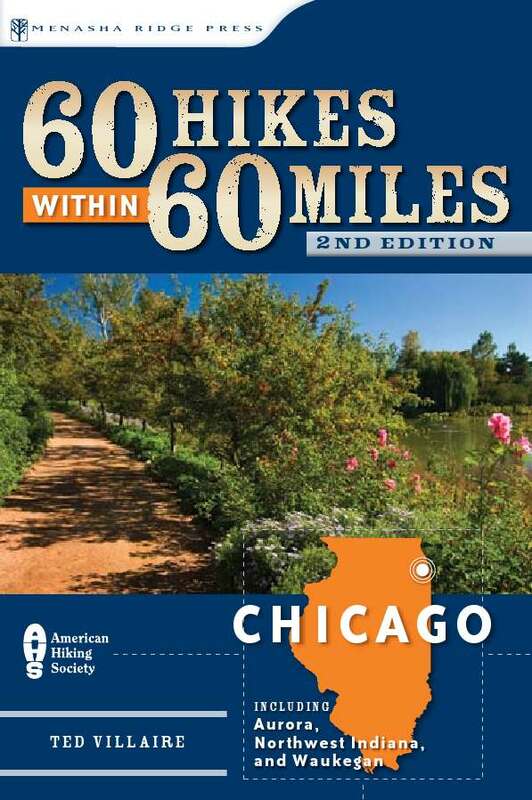 After much toil and sweat, the new edition of 60 Hikes within 60 Miles: Chicago has been released. If you’re familiar with the first edition, you’ll see that a snazzy new cover adorns the new version of the book. Like the first edition, this one provides in-depth information on 60 hikes within the Chicago region, and another 10 or so hikes that are briefly described. 5 new hikes covered in-depth. Heaps of updates on factual details, including contact information, web resources, routes, and directions. Loads of new information on getting to the hike via public transportation and bicycle. If there’s a Metra train that stops near the trailhead or a bicycle path running nearby, you’ll get the skinny. Check out the newly updated book page. Prairie Fever is powered by	WordPress 3.5.1 and delivered to you in 0.214 seconds using 29 queries.